In its latest "State of the Internet Report" released on Monday, web content delivery firm Akamai found that Apple's Mobile Safari accounted for about 60 percent of mobile browser usage across its networks, but trailed Android devices connecting to the internet using cellular data. According to Akamai, during the third quarter of 2012 there were more Google Android Webkit browser users accessing content over cellular data networks than those using Apple's Safari. However, by expanding the data to include all networks, not just those designated as "cellular," Safari was shown to have dominated the mobile browser market with slightly more than a 60 percent share. Using this same scope, Android users accounted for about 22 to 23 percent of the total. It should be noted that the data set, which can be viewed on the new "Akamai IO" analytics site, comes from several hundred "top-tier" sites that delver content through Akamai's services, most of which are U.S.-centric. The resulting information is therefore skewed toward U.S. users. The findings are consistent with previous Akamai studies that found Android handset owners accounted for the largest percentage of mobile browser requests over cellular, with the Webkit responsible for 37.6 percent of requests. 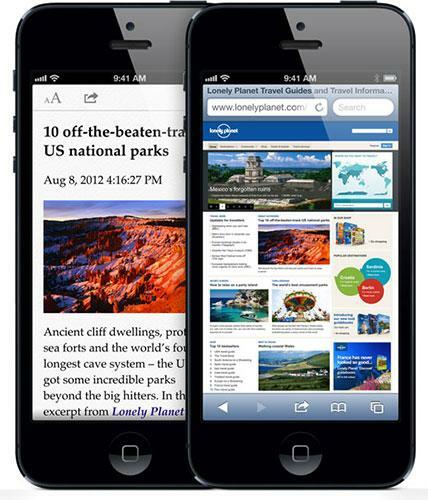 Apple's Mobile Safari was close behind, with a 35.7 percent share. Following the top two browsers were Opera Mini, RIM's BlackBerry-dedicated browser and Microsoft's Mobile Explorer, which accounted for roughly 20 percent, 4.2 percent and 1.5 percent, respectively. Apple's iOS devices once again took to the top spot in overall mobile browser share when considering traffic from all networks, including but not limited to Wi-Fi, and accounted for a 60.1 percent average throughout the quarter ending in September 2012. The Android Webkit generated 23.1 percent of requests, followed by Mobile Explorer's 9.3 percent share. Opera Mini teetered at an average just below 5 percent for the quarter. Additional data provided Akamai IO (Akamai Internet Observatory) showed that Mobile Safari, Android and Mobile Explorer were consistently responsible for over 5 percent of requests across all Akamai networks for quarter three.